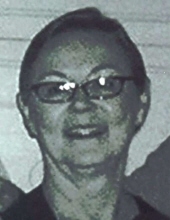 Kathy I. Brownell, age 67, of Smithshire, Illinois; passed away at 5:50 am on Monday, November 26, 2018 at her Smithshire residence with her husband along side of her. Kathy was born on August 4, 1951 in Burlington, Iowa and is the daughter of Homer and Irene Thomas Stevenson. She was raised in Gladstone where she attended the Gladstone grade school and graduated from Union High School in the class of 1969. She then entered and graduated from North East Missouri State where she attained her certification as a Speech Therapist. Kathy was married to James A. Brownell on August 4, 2001 at South Henderson Church north of Biggsville, Illinois. He is currently surviving. Kathy began work as a speech therapist at the VIT Community School District. Kathy is survived by her husband, Jim Brownell of Smithshire, Illinois, and one sister, June Galbraith of Gladstone, Illinois. She is preceded in her death by her parents, one brother Brud, and a step-son Scott Brownell. A memorial service will be 12:00 P.M. on Saturday, December 8, 2018 at the Turnbull Funeral Home in Oquawka, Illinois. Cremation rites have been accorded. A memorial fund is being established for Special Olympics. To send flowers or a remembrance gift to the family of Kathy I. Brownell, please visit our Tribute Store. "Email Address" would like to share the life celebration of Kathy I. Brownell. Click on the "link" to go to share a favorite memory or leave a condolence message for the family.